Michael Vincent Hayden, former Director of the CIA, and Motorola helpmate. 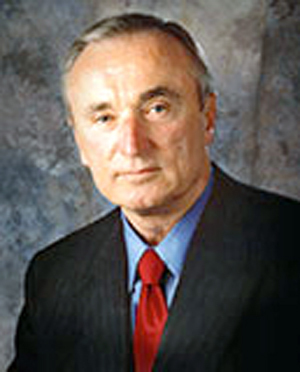 William J. Bratton, police commissioner of the City of New York and Motorola helpmate. This is the second part of a series on how Niagara County and Motorola Solutions did some interesting business together. In this segment we are not going to talk much about the merits or lack thereof of digital trunk line 2-way emergency radio communications systems like the one Motorola sold to Niagara County. Nor will we discuss much about the places where it didn't work as promised. We will focus more on strategies Motorola employs to secure contracts and how Motorola plied its time tested methods on Niagara County and how they fared. We won't bother to explain how Motorola uses big names for big deals - like former LAPD Chief William J. Bratton who got $750,000 from Motorola while Motorola fought and won a $280 million LA communications contract. With a little help, of course, from friends at Englander Knabe & Allen, whose principal lobbyist, Matt Knabe, needed only to lobby his dad, LA County Supervisor Don Knabe. 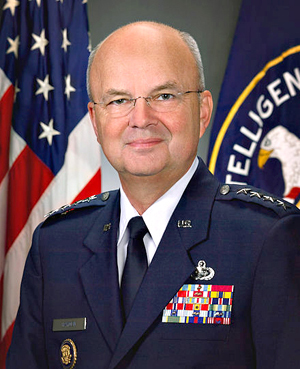 Or how Motorola hired Michael Hayden, former head of the CIA and the National Security Agency. If he came knocking on your door and told you to buy Motorola you might pause and think seriously about that. TRUNK LINE SAFE AND RELIABLE? As for the safety and reliability of the Motorola trunk line digital system, the headlines were so prominent in 2010-2011 that when Niagara County decided to buy the system they must have been well informed - so we will only briefly dilate on that. Two Philadelphia fire fighters who perished in a fire. Motorola's digital system was blamed. Motorola settled with the families for an undisclosed sum. Philadelphia firefighter Dave Kearney called the digital trunked radio system, "needlessly complex." In Houston a fire took the lives of two firefighters and permanently disabled another one month after the department started using the $140 million new Motorola digital system. A Houston firefighter: "While the (trunk line digital) radios did NOT cause the (deaths of the two Houston fire fighters) they did hamper rescue efforts." A firefighter in Prince William County perished in a blaze. Motorola digital was blamed. Cincinnati spent $35 million. Two firefighters died - unable to transmit "May Day" signal. Motorola sued. Evidence was presented in court that clearly indicated that digital trunk line is inherently deficient for fire fighters. Las Vegas police spent $40 million - echoes and unintelligibility. Oakland police - garbled sounds. Indianapolis - police and fire won't use system. Jasper Wyo. - switched back to analog. The City Council of Isle of Palms SC." "persistent and erratic communications problems … since the activation of the digital radio system." Marion County, Indiana - fire chiefs don’t' want to use digital radios when fighting fires. Some say that digital trunk line systems are soon going to be obsolete as broadband alternatives for public safety communications continue to improve in reliability. In the meantime reliable, conventional analog systems, which cost 85% less - could have been and in some places are an inexpensive (and arguably safer) placeholder until broadband arrives. Thurston County, Wash. stayed analog, met narrowbanding, saved 90%, got 93% coverage. A Motorola tech said, but anonymously, "Using a trunking system or repeater system for fire ground is inviting disaster. Simplex (direct radio to radio without infrastructure) is best for fire ground." A volunteer fire fighter who is employed building radio systems, said: "Analog will almost always ‘play’ something on a mobile/portable, but is prone to static due to interference or in weak signal areas. "Digital is mostly pin drop clear or gone. Firefighters have issues with ‘gone’ – most can pull an evacuation order or mayday voice out of analog static. "Multi-path is a total fail issue in digital. Relying on distant infrastructure and software to relay life and safety critical communications is what kills responders. Simplex is more reliable short range, on a normal incident scene. "Loud machinery, fire engines pumping at high rates, alarms, sirens, barking K9’s may be encoded in preference to the user’s voice. "Firefighters can tell the stress level of a partner’s voice in analog, but not in digital. That may not sound like a big deal, but it plays a role more often than one would think." Motorola has a unique ability to get their way with government entities. There isn't space here to list them all, but a few examples, such as those listed below, should give the reader an indication of what Motorola is able to do with government officials. Further study is required by those who wish to understand how a giant corporation succeeds at getting various government officials across the nation to violate the spirit, if not the letter, of government procurement laws. In 2005, officials for the state of Kansas decided to evade the required competitive bidding process and handed a $50 million contract to Motorola for a new digital system. Their evasion was achieved by misnaming a new statewide system as an upgrade of a 1991 contract for the old system. The Iowa Department of Administrative Services, on the other hand, issued requests for bids on law enforcement radio equipment. It may have something to do with the way state officials write their specifications. For instance one bid required radios’ “push to talk” buttons had to be at least 44 millimeters tall and 15 millimeters wide, and their knobs at least 19 millimeters apart. Motorola was the only company that made a radio that met the specifications. Riverside County Ca. awarded Motorola a $148 million contract for a digital system that was delayed by more than four years because the system didn’t work. Among the many problems was busy signals on would-be emergency calls. The cost rose to $172 million. The U. S. Inspector General launched an investigation in the San Francisco Bay Area after Motorola was handed a no-bid $50 million contract courtesy of a former Motorola employee, turned head of the Bay Area UASI office. In Chicago, Motorola was handed a $9 million no bid contract. It shot up to $23 million. The Inspector General there concluded Chicago officials falsified paperwork to finagle the no bid status of the deal. In the end, the radios wound up costing $8,000 apiece and didn't work. DuPage County awarded a no-bid, $7 million contract to Motorola in 2006. The cost quadrupled to $28.6 million. Six years later DuPage was still using its analog system. Then comes the topic of consultants who are ostensibly retained to aid various government entities find the best deal and plan and to help negotiate the best purchase of a new or modified emergency communications system who somehow seem to always help ensure Motorola gets the contract for lucrative terms for systems that frequently do not work and far too often are much more complicated and overbuilt systems than the government entity needed. L. R. Kimball Engineering and Consulting, of Pittsburg PA. was consultant for Charleston County, SC. Kimball recommended Motorola for a $17.5 no bid (or sole source) contract. When the system failed to provide the coverage promised, the county was forced to spend another $12 million with Motorola to upgrade the system. In Montgomery County, PA, 2012, Kimball advised county commissioners to give Motorola the contract as a sole source deal. 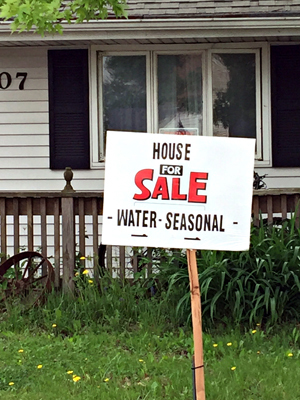 County officials bought into the idea so thoroughly that before they even signed the contract they wanted to tell the world that government should dispense with competitive bidding - the best prices are had through sole sourcing purchases. Their consultant Kimball told them so. Watching the deal unfold through internal documents is a fascinating study on how consultants work to ensure Motorola is locked into favorable contracts. Montgomery County Director of Public Safety Thomas Sullivan wrote to County Commissioner Bruce L. Castor, Jr., on October 23, 2012, "Kimball … stated that avoiding the expense of having to respond to an RFP would enable Motorola to come in at a lower price than its competitors and Motorola would be motivated to retain a customer as large as Montgomery County." But, curiously, Kimball did not know what Motorola was likely to bid. In his letter to Castor, Sullivan wrote, "Kimball has not yet been provided Motorola’s proposed pricing, (but Kimball) estimated the cost of the (Motorola) proposal to be between $55 million and $65 million, and stated that the County should engage in negotiations even if it were as high as $70 million." County officials seemed ready to negotiate a sole source deal with Motorola even if the price were as high as $70 million. Motorola came in at half that price. An enthusiastic Sullivan wrote to Castor, "This (Motorola) proposed $35 million figure is substantially less than the $66.8 million base project cost that our consultant [Kimball] had originally estimated:… (T)here is still a tremendous cost savings to be had utilizing Motorola as the sole-source provider." 1. Kimball, the consultant told the client, Montgomery County, that the county would save money if they negotiated a sole source contract with Motorola. 2. Kimball told county officials it did not consult with Motorola on their proposed price. 3. Kimball tells the county that a fair price for the product they wish to purchase is $66.8 million. 4. Motorola comes in at $35 million. Clearly one of two things happened here: Kimball is clueless about pricing digital systems and therefore unfit to be a consultant or Motorola and Kimball collaborated to make Motorola's price seem like a bargain. By that time the price had crept from $35 to $40 million. The commissioners shared with the media that the competitive bidding process was scrapped in this high profile transaction plan in the interest of containing costs. Giving credit where credit was due, the commissioners told the media that it was their consultant, Kimball, that "recommended that avoiding the expense of having to respond to an RFP would enable Motorola, as sole source provider, to come in at a lower price than its competitors." The above statement is stunning not only for its stupidity and illogic but in that it contradicts all previous experiences of centuries of government procurement which is that competitive bidding produces lower prices and better service. The Montgomery County example could be defined as "government procurements should be made by hiring a consultant who doesn't know prices for the product to be purchased who then picks a vendor for a sole source contract and lets the vendor name the price and then government officials proclaim to the public that they got the price lower for them than they would have by competitive bidding - but since there was no competitive bidding they really have no way of proving that by using sole source the price was actually lower so instead they quote the consultant who doesn't know prices as their authority that sole sourcing got the public a lower price than had they gone with competitive bidding. L. R. Kimball had another client - Niagara County. Kimball assigned Michael Harper as their point man for Niagara. Kimball advised Niagara County officials that the county would save money if they made a sole source deal with Motorola. The Republican majority of the Niagara County legislature - then 19 members, with a 15-4 Republican edge - were united - Kimball and Motorola are names to trust. Kimball and Motorola devised a plan to gather both county and other municipal agencies located in the county that use 2-way radios - police, fire, emergency medical, highway - in every town and village - now using analog - and merge them in a digital trunk line system with 14 radio towers - narrowband compliant - for a price tag of $22 million. The legislators asked if $22 million was Motorola's best and final price. Motorola answered in the affirmative. The legislators asked if the proposed plan was best for the county's emergency radio needs. Kimball and Motorola answered in the affirmative. The legislators were pleased that by scrapping competitive bidding the safety and welfare of the county was looked out for and in a way that dramatically looked after the bottom line and protected the taxpayers’ dollars. A contract was drafted for $22 million to be voted on at the Nov. 3, 2010 meeting of the Community Safety and Security Committee of Niagara County Legislature. Once the contract was approved it would go before the legislature where it was expected to pass - 15 - 4. Although not invited to bid, the Harris Corp., of Rochester, NY, contacted legislators and said they could save the county money. 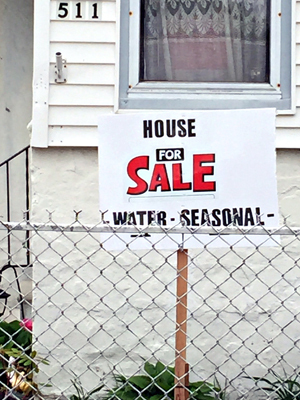 Unlike other legislators in many other places, the Niagara County legislature said, "yes." Harris appeared at the committee meeting and told the members that they could do the project for $16 or 17 million - not $22 million as Motorola offered. The county took Motorola's contract off the table. Harris explained that it needed time to develop plans. Kimball did not think it was wise. Kimball and Motorola had driven all over the county for months figuring out how many towers and where they needed to be placed to get proper coverage without charging the county a single extra penny - to come up with their best last final price of $22 million. Harris needed the time to make the same drive and find locations for its own towers - and without Kimball - since Harris knew that Kimball was unlikely to want to help Harris very much. Kimball warned that the FCC narrowbanding deadline of Jan. 1 2013 was only two years and two months away. The Republicans told Harris to go ahead. Eight months later - June 2011 - everyone was still waiting for Harris. It was known that they had been driving all over Niagara County but as of yet had done nothing in the way of a bid. The only thing that seemed to be certain was that Harris representatives had the distinct impression that Kimball wanted Motorola to win this contract. Motorola, the company that eight months earlier told the county that sole source dealing would bring the best price - and that best price was $22 million -dropped their price to $20 million. The county legislators - waking up to the possibility that they might get this done even cheaper - said that if Motorola came in at $18 million - it would more or less spell the difference of making a deal now or waiting until Harris came in. Motorola, whose best final price without competitive bidding was $22 million, then with the hint of competitive bidding dropped it to $20 million - now dropped their price again to $18 million - same deal - same service - $4 million less. What would they say in Montgomery County about that? And what about Kimball, the expert consultant, who didn't know there was $4 million of fat lying in the middle of Motorola's best last final deal? Instead Kimball's Harper spun it as "our good luck" and urged the county to quickly accept Motorola's $18 million, since that FCC deadline was now 18 months away and it would take Motorola at least a year to install the system and by the way there would be heavy fines from the FCC if the county were late. Kimball's Harper told the legislators that Harris's deal was bound to be more expensive - whatever their initial bid was - over the long run. The Buffalo News asked Kimball's Harper - since it was no secret that Harris thought Kimball was favoring Motorola - about Harris's as yet unseen bid. Kimball's Harris told the News that Harris would only delay the project and be more expensive. "Motorola's got a more fully baked solution," Harper said. County Manager Jeffrey Glatz, who had become aligned closely with Kimball's ideas, told the News that Harris, "was too late to the table". As the required contentious voice in the wilderness, Virtuoso, the lonely Democrat on a top heavy Rpublican legislature told the News, "We probably could get a better price if Harris thought the competition was legitimate." By Friday June 10, 2011, Harris had still not put in a bid and the committee realized that time was fleeting. They seemed resigned to approve Motorola's $18 million deal at their next meeting on June 14. On Monday, June 13, Harris came in and surprised the legislators with a bid of $15 million. "They must have really put their nose to the grindstone over the weekend," said Legislator Paul Wojtaszek. "I was very surprised to see what they came back with in the way of numbers," said Legislator David E. Godfrey. The committee did a turnabout and announced they would award the deal to Harris. Then dumb luck struck again. Motorola's Vice President, David R. White Jr., using one of the tried and true Motorola techniques - when you are about to lose - say the other guy cheated and throw a monkey wrench into the works - sent a letter to the County Manager Glatz accusing Niagara County of leaking information to Harris that enabled Harris to beat Motorola's price, and more importantly Motorola could do a better job than Harris - and guess what? Motorola would now drop its price to $11.1 million. They would put in less towers - down to eight - from 14, but guess what - eight towers is all the county needs. At this point somebody should have thrown Motorola and Kimball into the Niagara River. Eight months ago both of them told the county that $22 million was the best price and a minimum of 14 towers were needed. Now it was $11 million and 8 towers. For their part Harris denied getting information leaked to them from the county and pointed out that the supposed information leaked by the county was actually contained in stories written by Buffalo News reporter Thomas Prohaska. That information plus their knowledge of the industry was all that they needed to produce the better priced deal. It was Prohaska not the county who leaked the information - to the reading public. Then before anyone could digest the full ramifications of these events - dumb luck struck again. Kenwood USA Corp.'s manager for systems, John North, sent a letter to the county saying his company had made a bid and where was it? An investigation was made and John F. Cecula III, the county's interim emergency management director, confessed he received the bid but never gave it to Kimball for review. Was it better than Motorola's $11 million? Kenwood resubmitted their bid. It was $6.8 million - a third of the price Kimball and Motorola once led the county to believe was the best and final price anyone could get. Majority Leader Richard E. Updegrove vowed an investigation. On June 28, 2011, the committee convened. Normally few attend committee meetings but this time there were 50 volunteer firefighters who came in uniform looking none too pleased. The firemen were led by former county emergency management director, James Volkash, a volunteer fireman himself, an ardent Motorola supporter and with him were three Motorola representatives. As a group the fireman denounced Harris, and demanded Motorola for the county's system. They knew best what equipment they wanted. The Motorola representatives explained why their product was better and safer - if the county legislators cared about safety for first responders - and that Motorola alone could be relied upon to give the county the best, last final price. 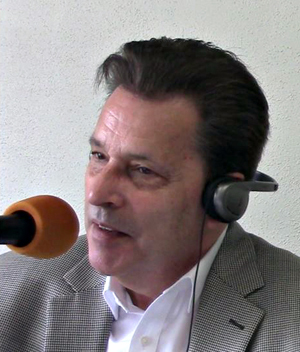 County Attorney Claude A. Joerg had already advised the legislators privately that considering there were letters of protest and a bid mysteriously misplaced that to reduce the chances of litigation the legislators would be well advised to start from the beginning and do the procedure known as a Request for Proposals (RFP). The committee voted for an RFP and the fire fighters applauded. Motorola was back in the game. Wojtaszek smelling something not entirely fragrant warned, "The first responders will have some say, but the sky's not the limit." Virtuoso smelling something putrid said it was done a-s backwards. "We should be dictating to our suppliers what we want. 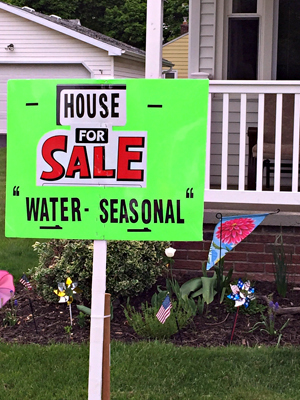 That's the only way we're going to get a fair price." In a normal world Kimball might have lost the confidence of his clients with his shape shifting performances. But the Republican majority was steadfast and instructed Kimball to draw up the RFP and bill the taxpayers by the hour. Kimball spent two months carefully craftily writing the RFP. At 258 pages, it was the longest RFP the county's senior buyer, Stella Fulcher, had ever seen. 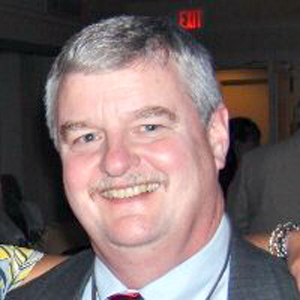 Fulcher sent the RFP to nine companies on Aug. 22, 2011, seeking bids. She could have saved the postage. Kimball's craftily written RFP had already predetermined the winner and precluded Harris' plan of having separate radio networks in the east and west of the county. The RFP called for Motorola's plan for a single-cell system. Harris announced publicly that the RFP was rigged. Glatz, relying on Kimball's knowledge, said, "It's clearly in the specifications that we would prefer single-cell. If (Harris) ha(s) a better mousetrap, we'll consider it." But Harris knew that Kimball was the judge of mousetraps and Motorola was the cat. On October 11, 2011, the sealed bids were opened. Harris came in at $12 million for a split cell system. Motorola's sealed bid was opened. It was a single cell system - just like the RFP called for. The bid proposed a digital trunk line network system that accomplished all the objectives as their earlier $22 million plan - 95 percent coverage, 95 percent reliability - for $7.3 million. There were no other bidders. Glatz found himself explaining to the Buffalo News why the price dropped so much: Motorola was able to cut its price by constructing only five towers, along with using three the county already owns. So how come the expert consultant didn't recommend five towers in the first place? Why did Motorola and the consultant claim, when there was to be no other bidders, that the system needed 14 towers? At this juncture, some might have lost confidence in Kimball: he had recommended Motorola's proposal at $22 million with 14 towers as the best deal the county could make. Then recommended Motorola's proposal at $18 million. When Motorola offered to bid $11 million with eight towers he recommended that too. Now Motorola bid $7.3 million and five towers. The clear lack of understanding of both price and the number of towers that were needed to provide radio coverage would have disqualified Kimball in any normal setting where consultants are expected to know what they are doing and are loyal to their client. But the county was steadfast: Kimball was asked to review and recommend Motorola's contract. Kimball approved the Motorola contract and the county signed the deal with Motorola in late December, 2011. Added to the $7.3 million price was - at Kimball's recommendation - more than $2 million in brand new radios from Motorola and with some other minor changes the final contract was slightly above $10 million. As the new year came, 2012 saw a group of legislators fairly proud of themselves. In his January 2012 State of the County address, Chairman William Ross took a moment for credit, saying, "The early discussion among the county’s Community Safety & Security Committee …. had a preliminary cost of between 22 and 23 million dollars. …. The RFP process resulted in lowering the cost to $10 million ." Virtuoso, the Democrat, reminded him that but for the lucky entry of Harris into the process there would have been no RFP. "People were ready to raise their hands [to vote yes] at $22 million," Virtuoso said. And that for the record seems to be exactly what Kimball and Motorola had originally planned. Will Dyster Move to Cut Baseball Diamonds To Make Room for Cricket at Hyde Park? Issues, Yes I Have Issues!